The slow growth of rural areas and lack of industrial projects in them are imposing many challenges to local communities, including lack of work opportunities and abandoning local talents, according to Khaled Omari, an architecture professor at the University of Jordan. “The dependence on imported food products has spelled out the death of locally-produced foods and imposed a decline in jobs opportunities for the people who reside in these areas”. 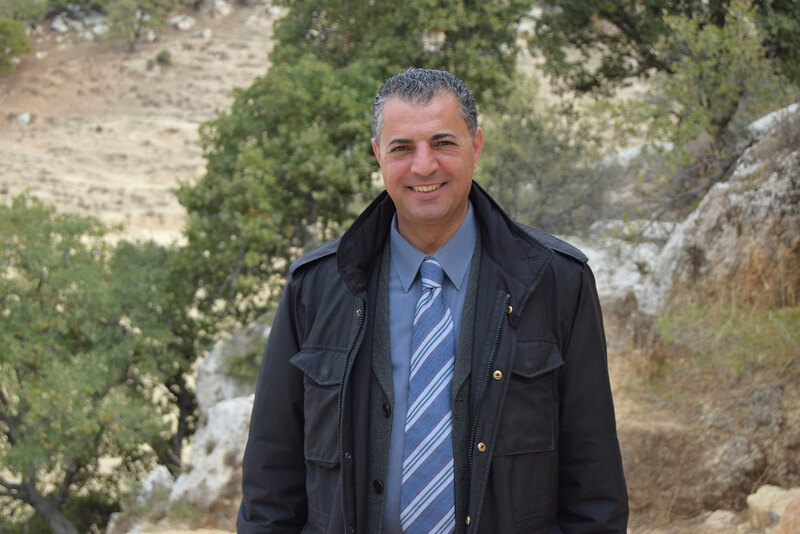 Khaled’s family owns a 25-acre land in a town close to Irbid, two hours away from the capital city. Although a resident of Amman, he was well aware of the tough economic situation in that town, and how hard it is for young men and women to find jobs that allow them to live comfortably and cover their daily expenses. “There are no industrial projects in this area. If a young man wants to work in a factory, he has to commute for at least four hours back and forth every day just to get to work” said Khaled. 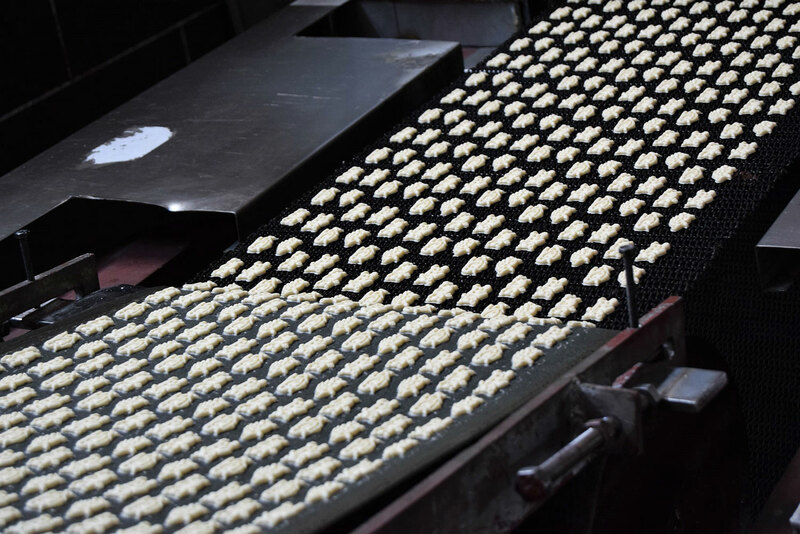 A few years ago, Khaled decided to open up a biscuit factory on a patch of land his father owned, in hopes of reviving the economy in the area, and introducing a healthy, affordable and locally-made food product to the Jordanian market. 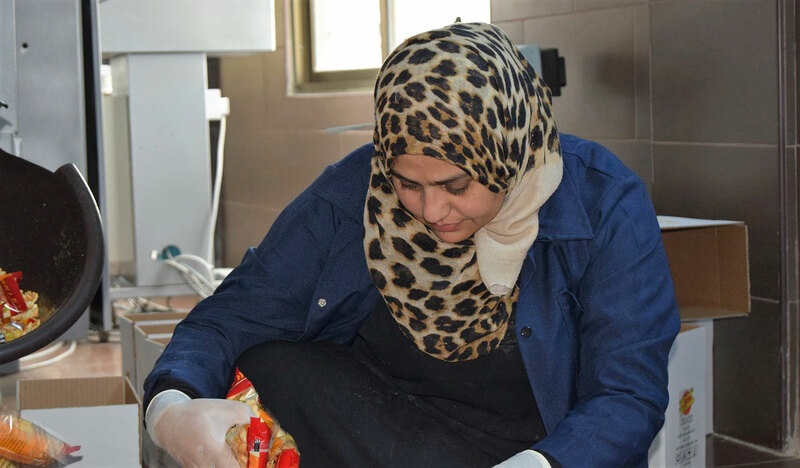 “When I was doing my research in the early stages of the project, I found out that 90% of the biscuits found in Jordanian markets are exported and overpriced, and they’re not even of great quality or nutritional value”. Khaled named the factory Sunrise on the Hills, and used all available resources around him to make sure his products were something that people truly wanted. “The biggest problem we faced in the beginning was operating the machines. There are no experts in the Jordan who have the proper know-how when it comes to these things, and we needed people to train staff on how to use the machines”. So, Khaled had to bring in experts from abroad to teach him and the staff how to operate the machines and maintain them, and eventually relied on online resources when he realized the experts did not know how to operate some of the machines. After opening the factory and making sure all operations were running smoothly, Khaled felt like he could still offer more. Although he was able to sell his product in local markets in Irbid to cater to customers who could not afford buying imported biscuits, and managed to provide jobs for four employees from the area, he was not satisfied. 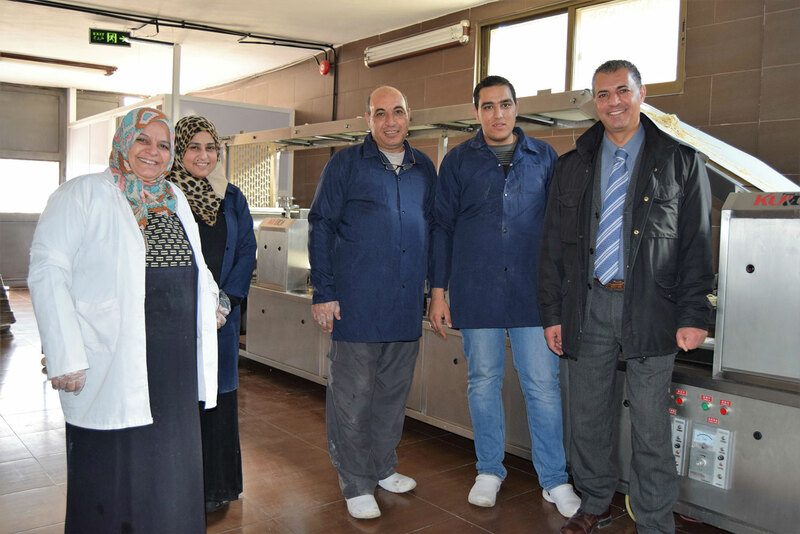 This encouraged him to approach the USAID Jordan Local Enterprise Support Project for a grant that covered purchasing machines including an industrial packaging machine and another one for making toy-shaped biscuits. “I had to think of something that will set me apart from all other products in the market, and I knew that no one else was making this type of biscuit which is fun, healthy and affordable”. Just as he hoped, things changed drastically after introducing his newest product. 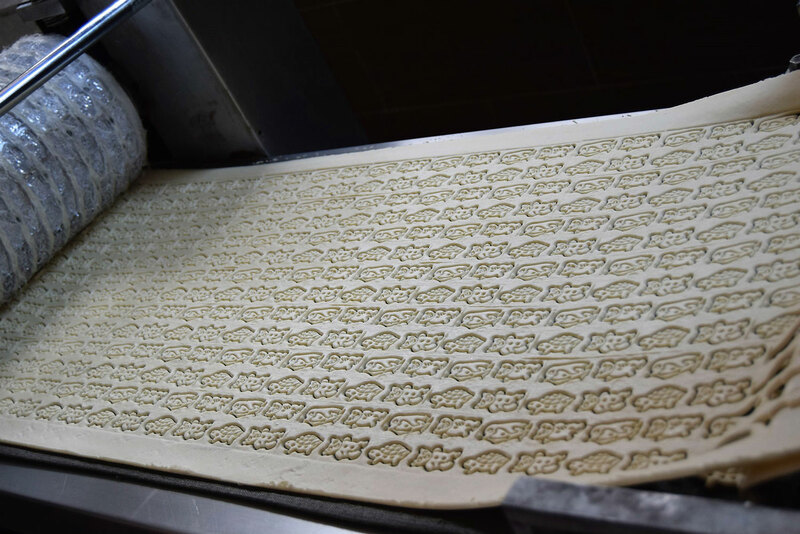 Until this day, Khaled’s factory is the only one in the Middle East that produces this type of biscuits, which has allowed him to enter markets he would not have been able to enter otherwise. “Sunrise on the Hills was just another factory that produces sweet biscuits before we introduced this product. We weren’t doing great in terms of sales because people wanted something different and more affordable than what was available in the market at the time”. In just five months after launching the toy-shaped biscuits, Khaled managed to breakeven and he proudly says they are now profitable. He employed two women and a driver after growing his range of products to be able to manage all aspects of production and packaging. “Many of the women living in the area are unfortunately divorced and struggle financially. I feel blessed to be able to offer them job opportunities that are convenient and close to their homes. I also do my best to make their day at work easier by offering them transportation to and from their homes and helping them in any way I can” said Khaled. Khaled hopes that more investment opportunities will take place in rural villages and town across Jordan, as families that reside in these areas have very low income due to their inability to find work opportunities in surrounding areas, despite having the right skill-sets and qualifications. “I’m a strong believer that industrial development is what drives any nation to grow and flourish, especially if it is focused on the food industry since it’s directly related to agriculture. 96% of the food products found in Jordanian markets are imported, and that on its own is a disaster for the economy given the extraordinary potential we have in this country”. Khaled’s factory may be small and focused on a narrow range of products, but his vision for reviving rural areas and strengthening local economies is inspiring, and he is only getting started. What is next for Khaled? “Expanding my range of products and reaching bigger markets outside Jordan is definitely something I’m working towards, but what I envision for this area far exceeds my dreams for this factory. I want to bring it to life by building cattle farms and more factories on my father’s land. This will build on the local assets we have, and will provide job opportunities for people living here and in neighboring towns and villages. I know that Jordan can easily become a renowned, top quality food producer, all we need to do encourage investments that are focused on industrial projects outside major cities”.